Military Spouse Appreciation Day is on May 6th. 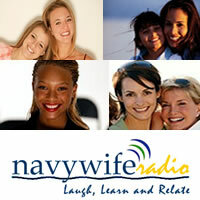 Join us as Master Chief Petty Officer of the Navy (MCPON) Rick West (minute 60) stops by to talk Military Spouse Appreciation Day and his use of social media to connect with Sailors and families. We also are recapping the recent Milblog Conference (part 1), presented by USAA and Military.com, in DC.